Amazon employees could be listening to recordings of Echo speaker users' conversations with Alexa, according to a report by Bloomberg. The report details how teams listen to "voice recordings captured in Echo owners’ homes and offices" in a bid to improve the way Alexa understands speech and responds to commands and questions. These recordings are apparently "transcribed, annotated and then fed back into the software as part of an effort to eliminate gaps in Alexa’s understanding of human speech and help it better respond to commands", as part of the "Alexa voice review process". Bloomberg says that it spoke to seven people who "have worked on the program", which reportedly comprises "a mix of contractors and full-time Amazon employees who work in outposts from Boston to Costa Rica, India, and Romania"
If the claims that humans are reviewing recordings of our interactions with Echo speakers proves to be true, it could be a concerning insight into how artificially intelligent voice assistants are trained by companies, as well as a potential security issues for users. 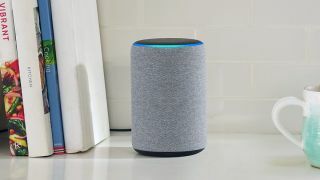 Bloomberg says that the workers parse "as many as 1,000 audio clips per shift"and that Amazon employees "occasionally pick up things Echo owners likely would rather stay private [like] a woman singing badly off key in the shower". Even more concerning is the claim that these workers have been privy to recordings of "possibly criminal" acts. Engadget has reported that "two workers from Romania said they had to listen to what could've been sexual assault" and that "they were apparently told that they couldn't do anything about it, because it's not Amazon's job to interfere". The reports raise questions as to the legality of failing to report a potential crime, as well questions about the possible ramifications for Amazon employees who could well be distressed by hearing this kind of recording. Amazon has admitted to using human workers to annotate voice recordings. A spokesperson for the company released the following statement: “We take the security and privacy of our customers’ personal information seriously”. "We only annotate an extremely small sample of Alexa voice recordings in order [to] improve the customer experience. For example, this information helps us train our speech recognition and natural language understanding systems, so Alexa can better understand your requests, and ensure the service works well for everyone." Amazon also said that employees "do not have direct access to information that can identify the person or account" when annotating voice recordings. Even so, it's concerning to think that private conversations could be listened to by employees if Alexa is accidentally woken after misinterpreting regular speech as its wake word, 'Alexa'.